Have you checked the thermometer outside lately? Probably not, there are plenty of reminders that we are in the middle of winter stuck in a cold snap. You don’t care whether it is 10 degrees out there or -10, it’s way too cold. The care-free days of summer when you are comfortable running around in shorts and a tank top are just a sweet memory. There are things you can do to help escape winter’s grasp. For example, you could watch movies that help you escape the fact your windows are currently icing up. We recommend In the Heat of the Night, Dog Day Afternoon and The Day the Earth Caught Fire. If you are still cold, try The Hot Spot, Sunshine or Summer of Sam. Of course, this is a very temporary fix, two hours of relief and then your toes get cold again. If you want longer relief from this cold snap, we suggest you take a winter vacation. 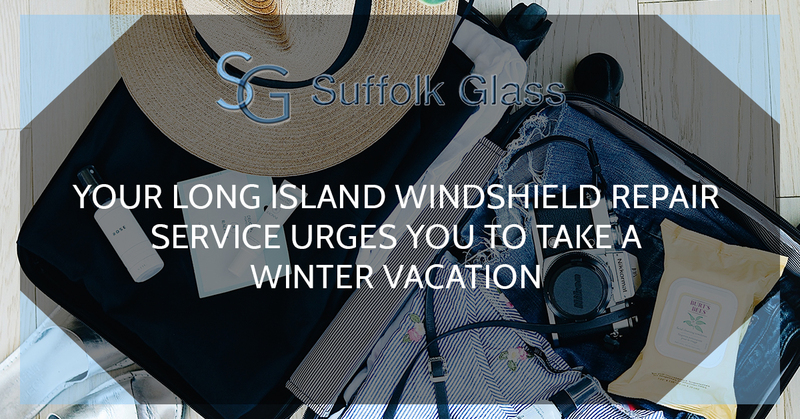 Suffolk Glass, your Long Island windshield repair service, offer you these great destinations for a winter vacation. Vegas is a great destination any time of year, but it’s the perfect destination if you are looking to escape the clutches of winter. Not only does Las Vegas offer warm weather, the entertainment is just as hot. With all of the shows and gambling, there will never be a dull moment. Jamaica is one of the few reasonably priced destinations to visit in the winter. No matter where you stay in Montego Bay, you can enjoy relaxing on a sandy beach, playing any number of water sports and eating at the finest establishments. But best of all, you will be warm. Mexico has long been a destination for those who want to escape the cold temperatures of winter. And it is quite obvious why. This seaside community is famous for giant sea turtles and sandy beaches that go on for miles. Enjoy your time eating great meals, sipping refreshing beverages and watching themed shows. Just don’t drink the water. With average highs around 85 and lows of 75 in January, Cartagena might just sound like the paradise you are searching for. It’s sunny and warm, but not too hot and uncomfortable. This beautiful city features impressive mangroves, powdery beaches and brilliant coral reefs. Make it your destination this winter. Even on the busiest days, the beaches on Boracay Island are likely to have only a few scattered sunbathers. This is because this gem of a place is still not on the tourist destination radar. In addition to swimming and sunbathing on the beach, you can enjoy cliff diving, snorkeling and horseback riding. Barcelona and Seville make excellent winter destinations as the weather in Spain this time of year is still rather warm. In many places, you can enjoy temperatures in the mid to high 70s. Anything is better than the sub-zero temperatures you are suffering at this very moment. But before you pack your stuff and go, consider getting your windshield repaired so you are all good to go upon your return. Contact Suffolk Glass today.